Not only can we pull in your aggregate review score in the social header, we can also showcase recent reviews on your home page as well as on a special “reviews” page. This is optional and requires purchasing our Builder Pro or Marketer package. Home Page Integration: We can combine a full-width image with an overlay feed of your recent reviews from our review engine. 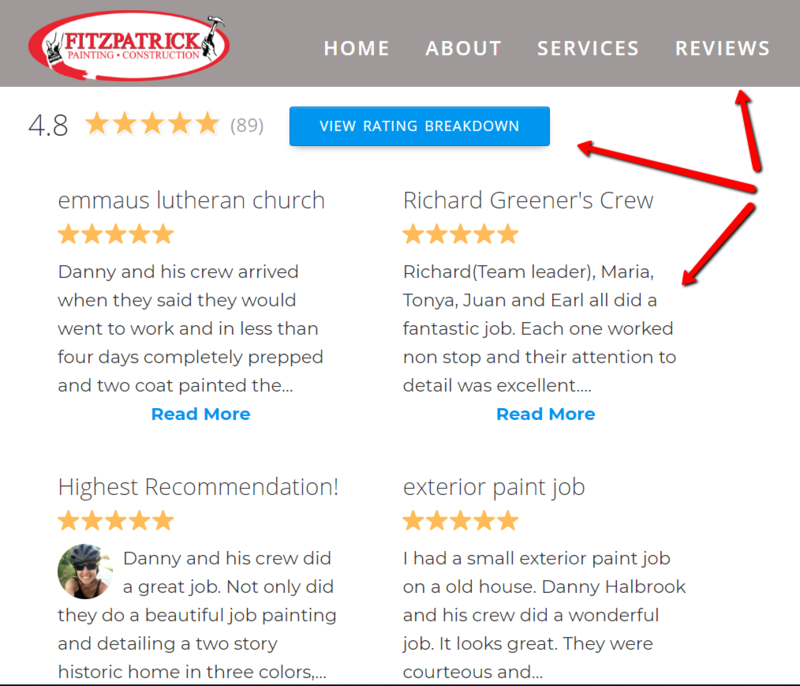 For example, this is how we configured it on Fitzpatrick Painting’s home page. We can also have a page on your site dedicated to showcasing your best reviews. We pull these automatically from your review engine. Here’s another example using Fitzpatrick Painting.